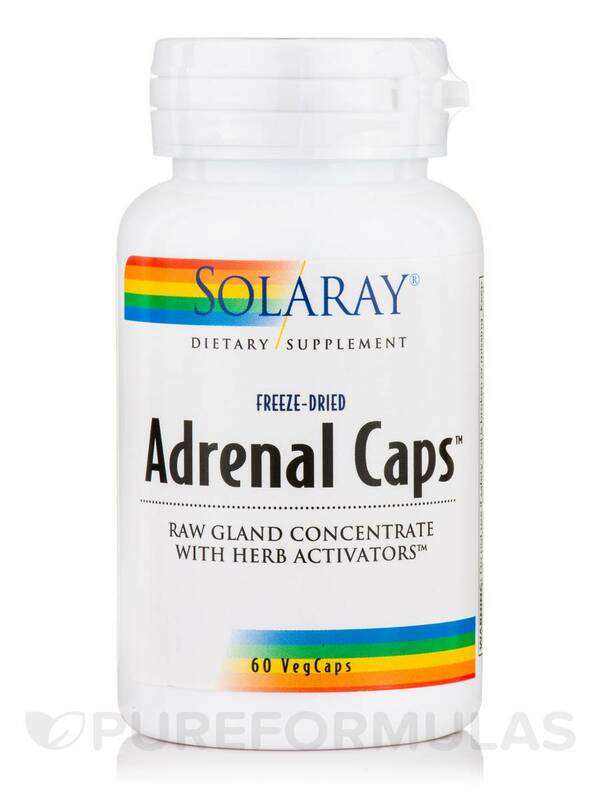 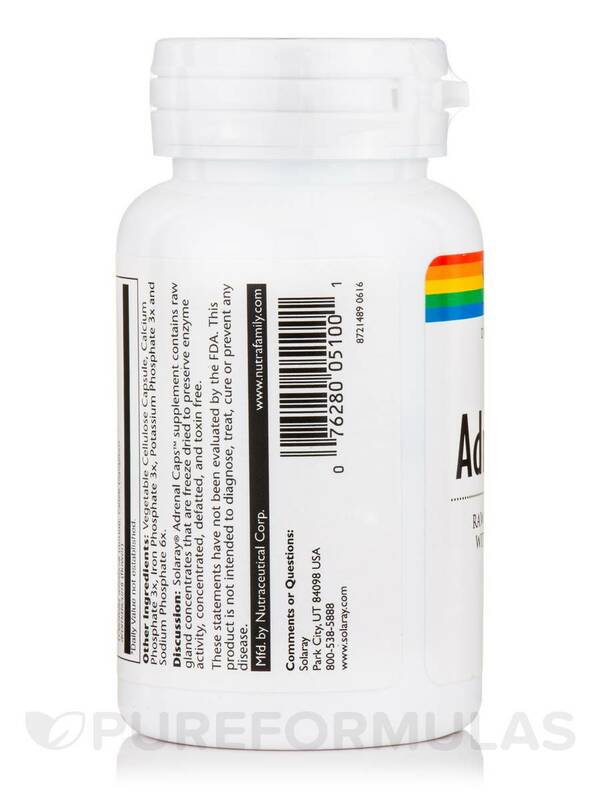 Solaray® Adrenal Caps™ supplement contains raw gland concentrates that are freeze dried to preserve enzyme activity‚ concentrated‚ defatted‚ and toxin free. 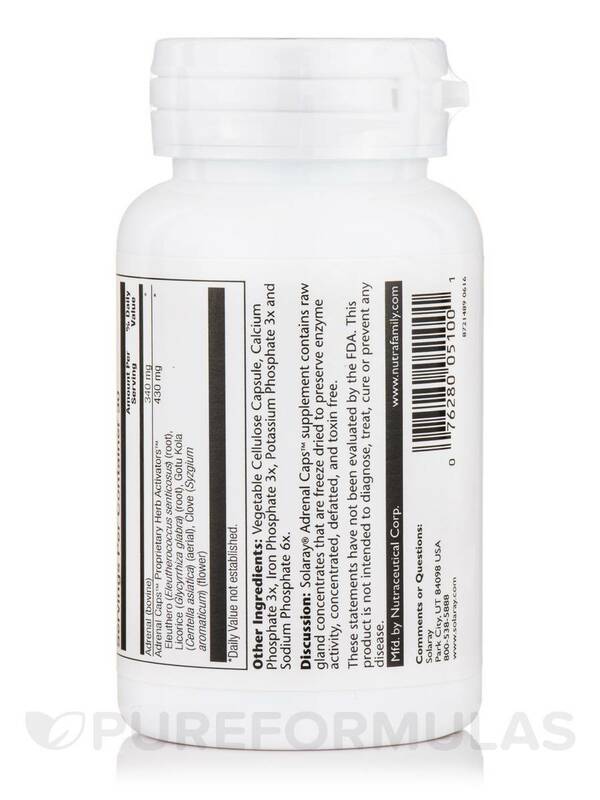 Eleuthero (Eleutherococcus senticosus) (Root)‚ licotice (glycyrrhiza glabra) (root)‚ gotu kola (centella asiatica) (aerial)‚ clove (syzgium aromaticum) (flower). 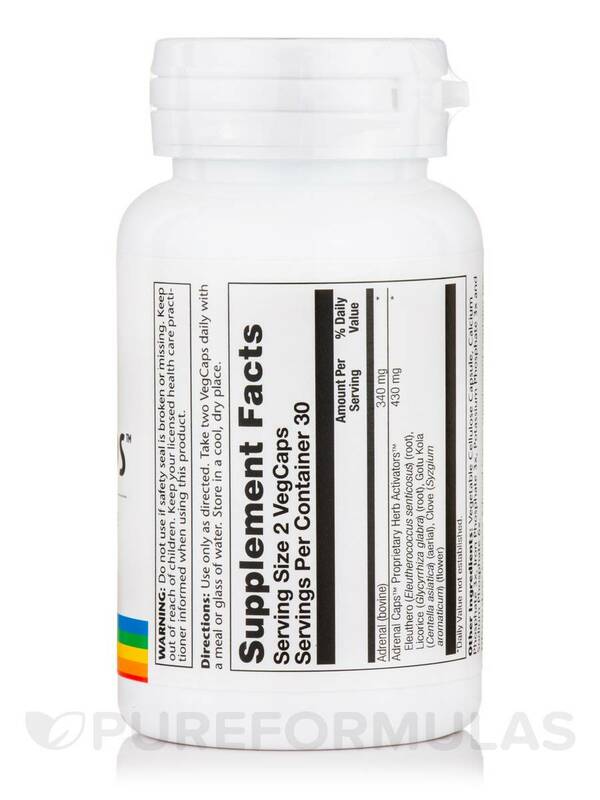 Other Ingredients: Vegetable cellulose capsule‚ calcium phosphate 3x‚ iron phosphate 3x‚ potassium phosphate 3x and sodium phosphate 6x. 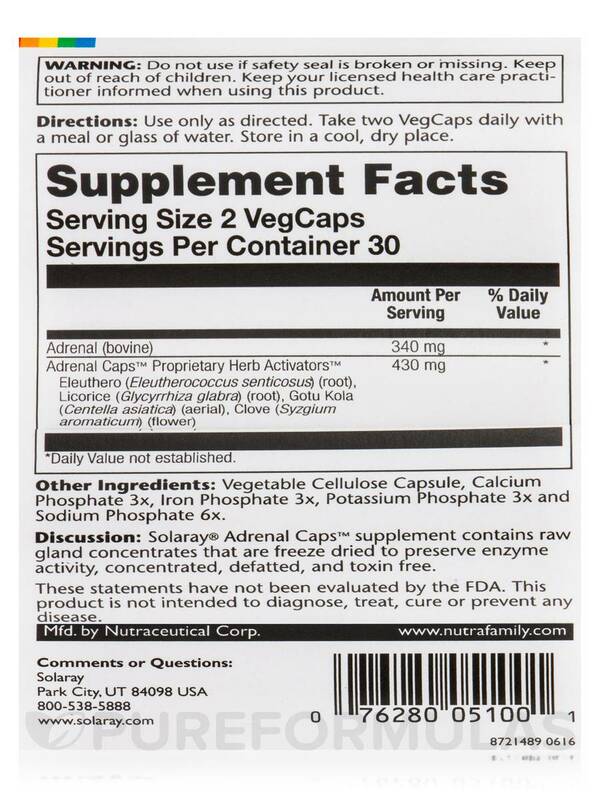 Take two VegCaps daily with a meal or glass of water.